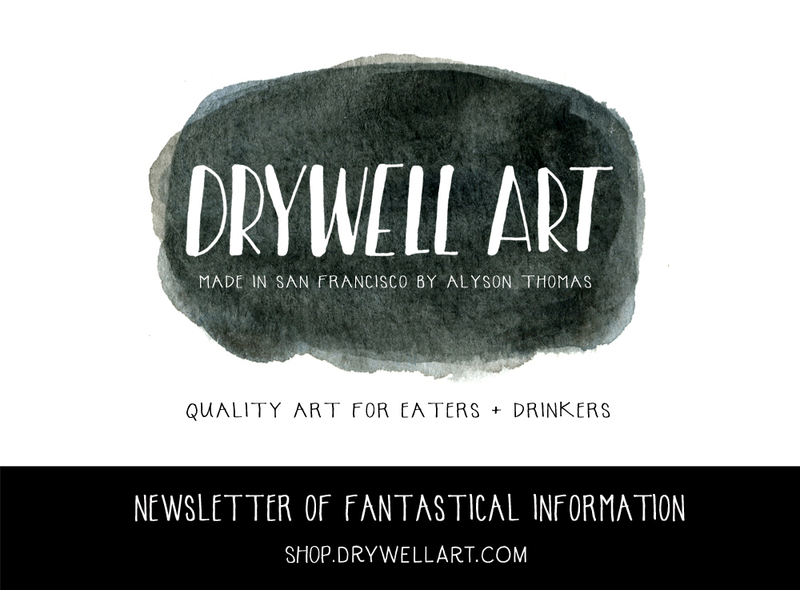 Looking for insider info for Drywell Art? Like first notice of new artwork, opportunites to see Drywell live, and coupon codes? You're in luck. Just sign up here for our infrequently sent, yet frequently awesome news dispatch!